So the big news 'round here is that we're going to have a baby! We are so very, very excited. And a bit nervous! Our little tyke is due on February 5th, putting us just past the 12 week (1st trimester) milestone. According to our midwife, Baby J is about the size of a plum. Just a wee little peanut. We'll keep you posted as events unfold. CONGRATULATIONS, SONJA! 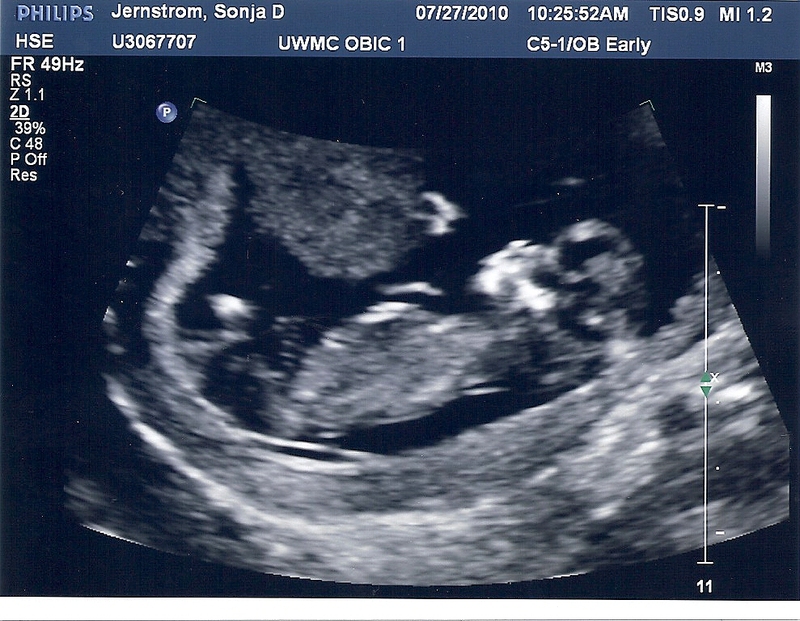 I know that you three will be very good parents for baby J. Amazing! So exciting!!! Congratulations! :) Can't wait to see all of the updates. I can't even tell you how happy and excited we are for you!! Congrats! You two are going to make the most amazing parents! Congratulations to the three of you! Feb 5 is a perfect date. There are never enough Aquarians in the world! Thank you guys for the sweet words! We are so excited! wonderful news Sonja. I was starting to wonder if you guys were expecting because EVERYONE is pregnant! don't get to attached to your due date, and as long as baby is born healthy then your delivery was perfect! ;-) Can't wait to see more postings,and of course ask any questions you want. Oh, and I have some baby things for you if you want them.